Wow! I have had an incredible week! I hope you guys are doing great too! 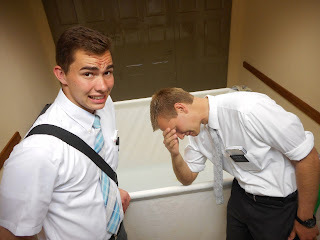 This week I had my first baptism!! His name is Cristian Piccinini. He is 10 years old and his mom was less active in the church. 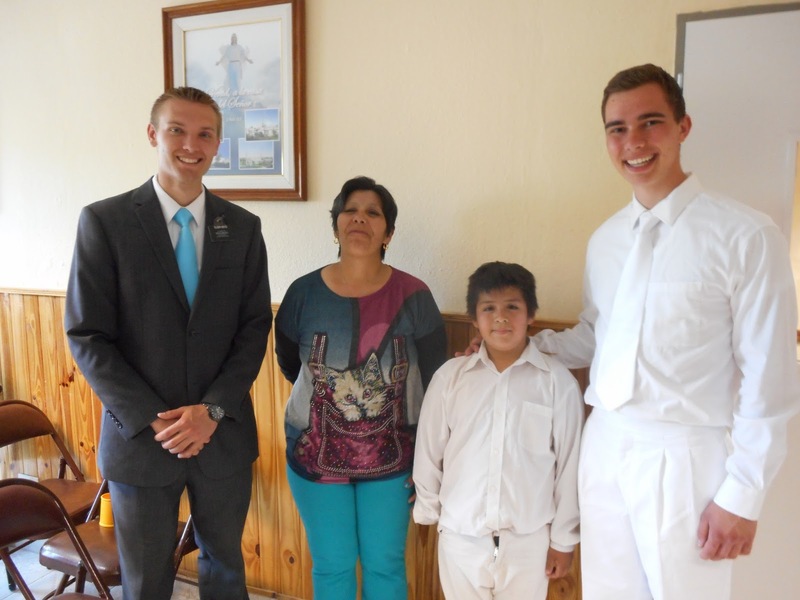 ( If a kid waits till after 8 years old, they need to have the missionary lessons in order to get baptized) So we have been teaching him for the last little while, and he is just a little stud! He is so awesome! Eventually the day of his baptism came! This day, we were on exchanges with the district leader and his companion. 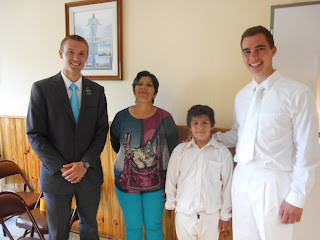 I was with Elder De Olivera, and Elder Boyd was with the district leader Elder Wilhelm. After lunch we all met up in the chapel, to fill the font and teach classes of english. When we got there though we found out that the water was off. And the font had about 3 inches of water in it. Ahhh! That is important, we need water! But My comp and I had to go visit someone else. So we left, Elder Boyd and Wilhelm to try and figure it out. When we get back the water is still off and we don't know what to do. Eventually president shows up and messes with a box in the sidewalk, and water starts coming out of a spigot in front of the church. So what we do for and hour or so is use two 5 gallon buckets to fill the font! It was slow. Eventually the water is about up to my mid calf, and we call it good. We get in and I do the baptism, It was really awesome! The only thing was the water was sooo cold. So poor little Cristian came up gasping for breath! But, It was all good, and it all worked out in the end! After the baptism we had to drain the water from the font, the same way we filled it up, with 2 five gallon buckets! When the water gets low enough we move the font closer to the door and I go to tip it on the side. All of the water came rushing out, It was actually really cool. Then I looked at the legs of the font and realized I broke one of them. Ahhh! Thats not good. Oh well, we can probably fix it. We will just need to find someone who can weld! Well It was an amazing stressful beautiful exciting fun experience! It was super awesome! Family friends, I love you guys! I hope you are doing great! Talk to you next week!